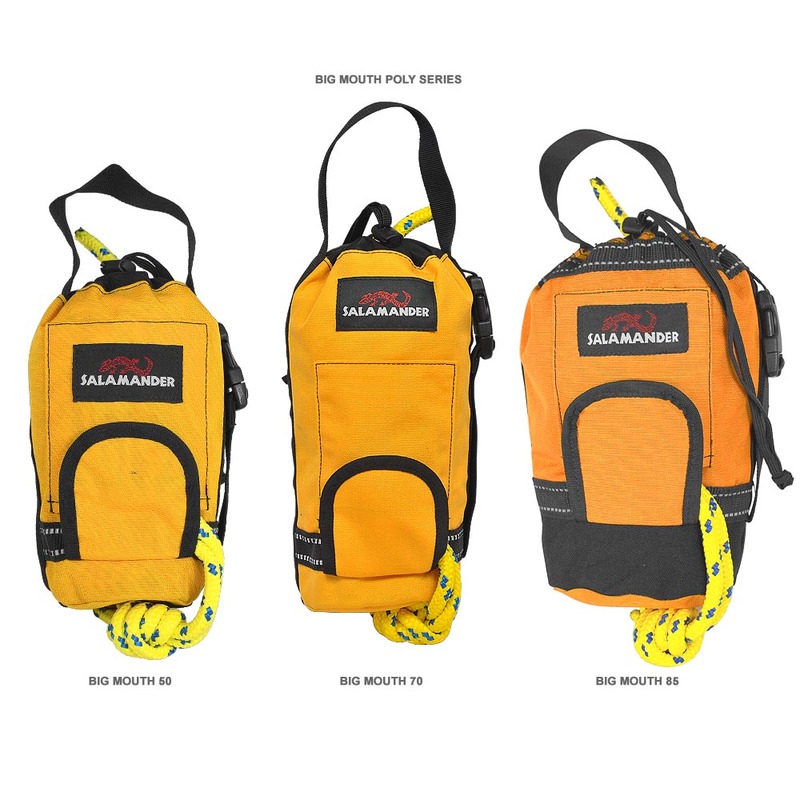 Quality, functionality, and reliability the Big Mouth Throw Bag delivers! 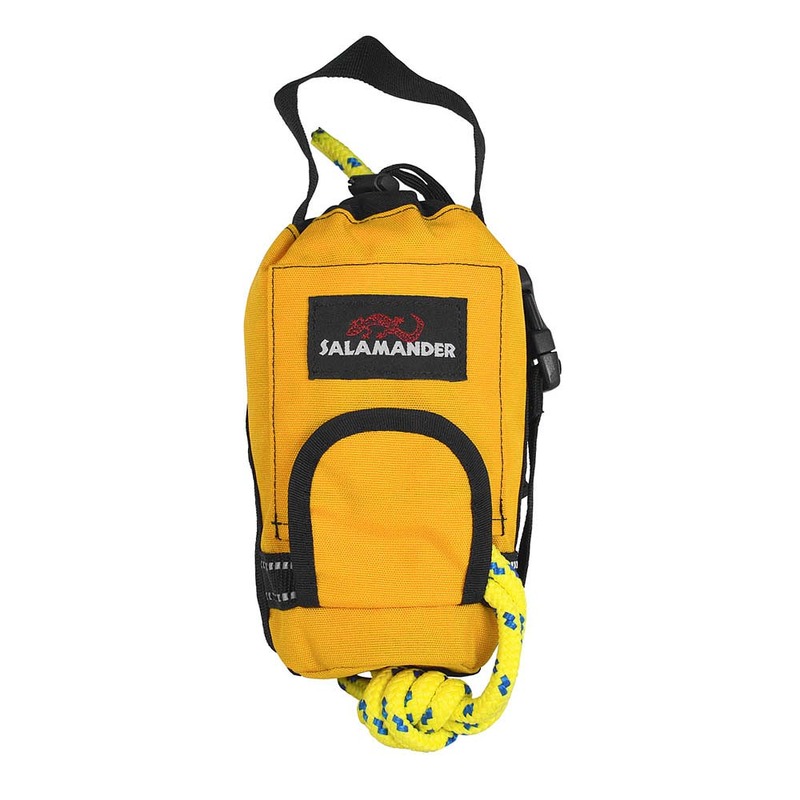 Stuffed with your choice of 50, 70, or 85 feet of 3/8" Polypropylene or Spectra core rope assures you may have enough should you call upon this beast in a rescue situation. Color: Salamander Mango and Black with reflective trim. Awesome throw bag, lightweight and tough. Long enough to get someone out of a bad spot, super strong for hauling boats out of gorges and off cliffs and even some rappelling in a pinch (not advised) Dries out pretty quickly overnight if you hang it up at camp. I leave one in my creek boat so I always have it there.